Seeing the end of something you have grown up with is like losing a friend. It’s something you are used to. The name “Howdy Doody” lives on. I felt how crushed you were in this short story, and I loved how you described the simplicity of the set and the scene that brought kids laughter. How we all long for the days before “reality” TV! Nice memories, Rochelle. TV was simpler and more innocent back then. Personally, I’m not fond o reality television. Thanks for stopping and commenting, VB. That would be pretty hard for a kid, especially back in the day when it wasn’t like there was a lot of other programs to choose from. You wrote it so well that it makes me sad it was cancelled and I’ve never even seen it. By the time I turned 7 the show was in its 13th season. It was a fact of life. Thank you for your kind compliments. Oh the kids show you grew up with. I still recall “Pellepennan och Suddagumman” and I always missed that first children’s program. And at that time there was only one TV channel…. I’ve never seen this show though. Great story. It was a very long time ago and I don’t expect many Friday Fictioneers to remember the show. But we were all children and I suspect my experience is a common one. Glad you liked the story at any rate. I felt for you, Rochelle. We didn’t grow up with iPads and I’m sure our kids will think our tv shows mundane, but we loved them nonetheless. Thank you, Jen. Howdy Doody was simple, innocent and without special effects. And we didn’t grow up with computers, cell phones or any of the other technologies that I can’t imagine being without now. How sad that it had to end that way. I am sure you were too young to understand the financial realities that would mean the end of the show. Happy to oblige. 😉 Amazing how far television has come in our lifetime, isn’t it? But how much is really progress? I’d be surprised if you knew of the show. But happy you felt the child’s disappointment which is really the premise of my little memoir. Grief comes in different packages. Glad you dropped by. Thanks for your kind comments. Two small things I noticed: fifteen-inch needs a hyphen (I can hear you shouting, “One more word” even from here) and “Hey, kids” need a comma. Argh! I’m a grammar nazi target! Nah. Thanks for finding what Dusty Richards calls prairie dogs in my piece. I hyphenated and word told me I had 100 words. Oops, must’ve been 101. Hey it was early and my eyes were still fuzzy when I posted. I’m glad you dropped by to comment. Sorry about your “deprived” childhood ;). Glad you liked my story. Always a pleasure to stop by. I don’t recall Howdy Doody…But I miss Kukla, Ollie and Lamb Chop. I cancelled my elders for this week…Enjoy. I’m guessing you might be just a “little” younger than I. Shari Lewis was Howdy’s replacement so my grief was short-lived. I sense such sadness in your story. I know that you feel today, the same way you did when first heard the news. It was like your childhood was ending. The normalcy of the simple act of watching a t.v. show was gone. Your world was set off kilter and wouldn’t be the same again. Funny how that loss would prepare you for others that you would have in your life. You certainly have my number. Thank you for your perceptive and tender comments. PS congratulations on becoming a published author! Now your life will never be the same! I’ve been told that I can tap into the feelings of a person. Silly huh? I think I just know that sense of loss that you feel. We all feel at one time or another. PS I can’t even explain the euphoria I feel about becoming published. I have no idea if the short story will sell. I don’t really care. I’m happy that someone thought enough of my work to publish it. Bask in it, Dear. I know exactly how you feel. I felt the same way when I saw my first short story in print. Your atmosphere in this autobiographical piece was persuasive! It engendered my effort and I expect more. Out of interest, I think the hyphen is debatable and ”voluntary” – referring to Janet’s kind suggestion, but I may be wrong. I did look it up again and found both, but based on some things I’ve also read about hyphens, I think the hyphen’s a good choice. But you’re right–it’s both ways out in the big, wide world. Yes, I think hyphen is best, interesting research – all to do with language, just a passion! I love language, too. I hope I didn’t come across as a complete language jerk. Just trying to be helpful! Hyphens are very misunderstood creatures! Have a wonderful weekend,me hearty! Yar!! Oh no! I really like and have benefited from the editing advice…just coming to your comment on mine…going through and answering! Thanks! I agreed and hyphenated. No worries. Thank you or your comments. You weren’t even an embryo in 1960. Rub it in. A deeply sweet piece, again the strong contrast. I’m still crying because “Alias” ended. Nice Remembrance, Rochelle. I think my first time was when “Crusader Rabbit” and his pal Rags the Tiger went off the air. Finally, a show I don’t remember. Crusader Rabbit. Thank you for commenting. to the days we pine… ? I’m much better at “Row, row, row your boat…merrily, merrily, merrily…” Ah Nostalgia. That would be quite traumatic for a young child. yes it was, Carrie. A child doesn’t understand TV ratings and cancellations. Thanks for dropping by. We didn’t get those shows over here so I couldn’t identify with the characters in your story. It seemed to me that the kids’ shows continued long after I’d stopped watching them, and so it came as a surprise to turn round one day and find that they were history. So I could identify with the sentiments. It was still a loss, but more of a regret that I hadn’t appreciated them whilst I could. Nicely done Rochelle, and a great take on the prompt. I suspect that more than a few FF’rs won’t recognized or identify with the TV characters which is why I included the video link. That you identified with the sentiments is the whole point of my memoir. A story of loss and a child’s grief. Thank you for commenting and liking. Thanks Ellyn. Happy to share my past with you. Hi Rochelle, Can you post my link to InLinkz? I can’t make it work and I’m out of the country without my usual back up machine. Thank you! I could remove your link if you had a bad link. I don’t think I can link you. I’m feeling a smug as my first TV memory was in colour. 🙂 Very good as always. Color TV was in its infancy in 1960. 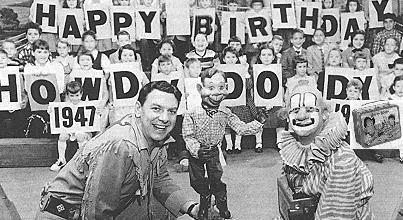 Howdy Doody was broadcast in color that year. Alas we still had a black and white set. Don’t think my parents sprang for a color set until the late 60’s. So I’m dating myself. Did you ever watch Uncle Zeb’s Cartoon Camp, Ron? I was a local show, perhaps you were among the kids in the bleachers. Glad to have you as a passenger on Memory Lane. Buffalo Bob and Howdy touched our lives in a positive way, didn’t they? Quite a legacy. I am having difficulties accessing Abraham’s site. 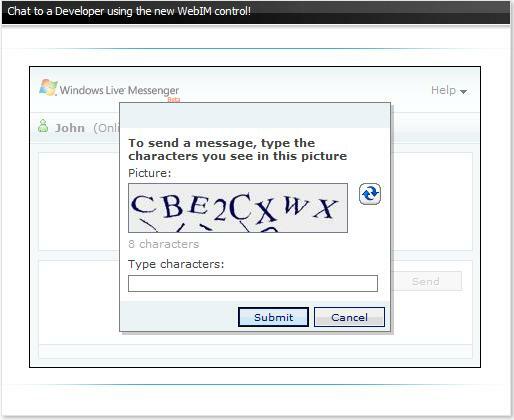 My Crome Google software alters me to potential malware and will not let me access from the link here or in my e-mail. Could you please let Abraham know that I appreciated his visit and tried to return the favor. But I cannot risk malware on my home computer. Mine did the same thing, Jules. I apprised Abraham of the problem. I did access his story on my iPad. When I tried going to his site last week I had no problem. But even trying to Google him this week a different address popped up and perhaps there is a typo address error. But I am super cautious about malware. I don’t have another way to access him. Thank you. Some excellent memories wrapped up in there. A bittersweet one here. Thanks for commenting, JK. One thing that’s so interesting about these prompts is seeing how everyone interprets the picture and I love how this one took you back to that time of your life. I miss kid’s shows like this and the cartoons I grew up with and just last week I broke down and bought a bunch of them on Amazon so I can relive them a little bit. Anyway, this was not only an excellent take on the prompt but a nice recreation of times gone by. I, too, am fascinated by how many interpretations come from one picture. Thank you for your kind comments. Those old shows were entertaining, though simplistic and innocent by today’s standards. I’m not so sure I call it progress. Hi Rochelle, I became the best at fixing the rabbit ears just right to get the sharpest black and white picture. Howdy Dowdy was over by the time I was interested in TV, I was Soupy Sales gal. Great nostalgic piece. I meant to tell you last week, great stain glass background. Thank you for you insightful comment. Of all your stories this is my favorite. This is a story of a little child learning about loss and coping with it for the first time. The mute clown speaking for the first and only time when it means the most…It’s touching, a piece of history and a part of your past. Well done! Love it! Clarabell speaking??? 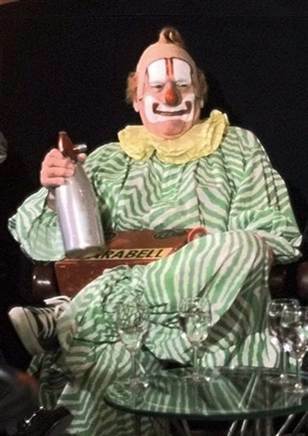 First time I’ve heard that, but oh, how touching it was that the clown finally had a voice. I’m not old enough for howdy doodie, but I do remember Uncle Al and Captain Kangaroo and ohhhh how I cried to hear they had passed away. Such a touching tribute to a much beloved show. Thank you for your warm comments. Always nice to have written someone’s favorite. And yes, very vivid memory. I know where fictioneers but there’s nothing fictitious about this story. Yes, Buffalo, Clarabell spoke. That’s what made me cry buckets. And Doodyville was dark for the first time in 13 years. If you don’t know already, Bob Keeshan who went on to be Captain Kangaroo was the original Clarabell. The world suffered a loss when he died. I didn’t know it happened like that. A child’s grief is a real thing and one remembered through out life. I felt that child’s grief. Great story. Very perceptive, Jackie. Thanks for your comments. Glad you liked it. I loved that show and felt the same way when it no longer aired. Thanks for the memory and the nostalgia. I felt the same way, no, worse when M*A*S*H 4077th ended it’s series. I cried for weeks! It was like loosing a family member. Through everything it was the only thing that was dependable. Now, I have it on DVD, but I still watch reruns every night. Many thanks Celestine. Nothing stays the same, does it? This has got to be the biggest leap from the prompt. You leapt from the crappy tinfoil around the plant to the old rabbit ears we used to use, all the way back to the Howdy Doody Show, which I have to admit I am of the age that grew up with it. It seems to me that everyone hated ClaraBell, but maybe we all hated Howdy Doody! I know we all loved Princess Summer Fall Winter Spring and Flub-Adub! I have to be honest. I didn’t notice the foil wrapping around he plant. When Doug pointed out the fact that it was a TV screen behind the lily and not a window my mind just went to television. Started reading about TV’s history and decided that my own memoir was the perfect story. As for leaping from the prompt…glad you noticed. ;). Thanks for commenting. God bless Clarabell. God bless your tears, Rochelle. God bless you for dropping by and commenting, T.
I never saw that show but your 100 words made me miss it. Doodyville sounds like fun. Isn’t it strange what memories stay with you? I loved the description of the tin foil on the rabbit ears – we had an array of coathangers and sticky tape! What a beautiful story. I read every comment and think you have touched on a universal experience in this modern age. From Bjorn to Ted to Tom and more, all seem to have experienced loss in a significant way when their favorite characters run on the tube has ended. You captured a seven year old’s innocence and her grief was palpable. How you manage to write these great stories while driving the bus is beyond me. Well done. Your kind words bring a lump to my throat. It’s amazing how the little things that happen to us as wee ones stick with us for a lifetime, isn’t it? While I don’t really remember much about Howdy Doody, that day is etched in my mind and on my heart with crystal clarity. As a writer, to have my work completely understood on an emotional and cerebral level is a high compliment, particularly when that understanding comes from another writer whose work I respect and admire. I watched these guys too, but I don’t remember the farewell. Guess I was too busy drawing on my Winky Dink screen! Well told, Rochelle, dry those tears! I honestly don’t remember a lot about the show. Mainly I remember the farewell and my reaction to it. However the next week Howdy was replaced by Shari Lewis and Lanbchop so I survived the trauma. You had a Winky Dink screen?You lucky duck! Thanks for dropping by. See ya next week. It took me a couple of reads to get the tinfoil and ghosts part (I can be a little slow sometimes) but once I was in the groove I really enjoyed it – just in time to feel the shock and loss and come down with a bump at the end. Nice piece. I suspect you’re too young to remember tinfoil and ghosts that plagued the early TV screen. The important thing to me is that you felt what the child felt. Thanks for commenting. I’ll be by to read yours soon. I’m so glad you came out of hiatus to read and comment. Nice to know I’m not the only one who cried the day Doodyville went dark. What did we know from cancellations? We were children. I love the visual of your brother manning the rabbit ears. Thanks for sharing your photo. As you can see some interestingly diverse stories sprang forth this week. Such colorful language. It’s very moving! Thanks, Honie. I’ll be by yours in a bit. End of week catch-upping. Hi, Found you and the concept of FF a couple a days ago. FF seemed a great concept. Wrote my first story for FF and put it up on the link. Just was confused where would one find the latest photo prompt.. Is there some link/page ? I assumed this to be the latest photo prompt. At what days times are the new photo prompts put up ? Lot of questions yeh ! Welcome to Friday Fictioneers. Glad you found us. You’ve also found the link page and the latest photo prompt. I put the photo prompt up on Wednesday. It will always be up on my blog page. Also I will post the picture on our facebook page http://www.facebook.com/FridayFictioneers?fref=ts. Thank you or your kind comment on my story. Since Howdy Doody was cancelled after 13 seasons in 1960 not many under a certain age know of it. To me being 7 years old at the time it had been on my whole life. And nostalgia is what I aimed for. Generally as implied we write flash fiction but occasionally some of us share a memoir or two. Wow, it must have been a shock to find out that Clarabelle could talk! I remember those days of fiddling with antennas – it was especially annoying when it turned out that the TV worked just fine as long as somebody stood there holding the antenna in the right place, but if you let go and stepped away, even though the rabbit ears didn’t move, the picture went sideways again. Oh, Rochelle, I DO remember those years and those experiences! And you have captured the memory PERFECTLY in your first paragraph! With those few words, I was THERE! Perfectly in caps. Pretty high praise. Thank you, Sandra. Glad you enjoyed it. I enjoyed your City Girl, too. I want to say thanks. Sometimes I look at a picture and nothing comes. Then later an idea does come. It’s been fun. Glad you’re enjoying it, Myth. Dear Rockstar – Don’t know about Doug’s perception .. (will have to write him) but let me correct him…that is not a TV reflection. Oops! Guess he and then I were thrown off by the video icon in the corner. 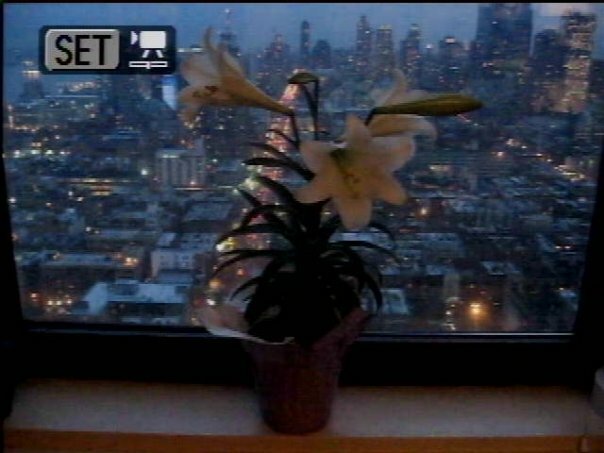 In any case I was intrigued by the lilies against the city backdrop. And having said that, I’ll say this for those of us who may have gotten the picture “wrong” I maintain that a prompt is merely that. I still maintain it’s how one interprets it that powers their story. Doesn’t matter what it really is. However it’s nice to know what it really is. How do you choose the photos you use? Glad you asked, Alastair. A few FF’rs have sent pictures to me via email: Runtshell@aol.com. I try to be judicious in my choices. Sometimes I’ll use one of my own photos. There really isn’t a rhyme or reason. As a rule I don’t have a clue what I’m going to write when I post the prompt. Hope that answered your question. Oh, I could feel your child-self crying at the end of this. A lovely insight into your life. Thank you. Hmm, I wish I could say that I know how you feel. I do get the feeling of sorrow implied and it was beautifully written. I’m going to have to look ask around about Howdy Doody now. My childhood television shows just didn’t have that effect. I can’t say that any of the other shows I watched as a child had the same effect either. If you click on “Epilogue” right after my story it will take you to a short video from CBS Sunday morning that will give you a nice, short history of the show. Thanks for dropping by with comments.